This story marks the third of six blog stories spotlighting New Jersey’s shark species. Sand tiger sharks look ferocious. 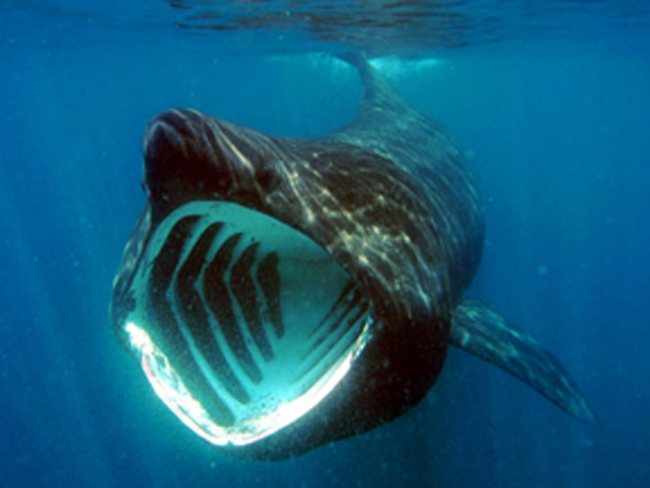 With a mouth agape with rows of outward-pointing needle-sharp teeth, they are often regarded as deadly man-eaters. However, their appearance doesn’t tell the whole story. Although they have been known to attack humans, they are not man-eaters. Those needle-sharp pointed teeth are very poor tools for cutting through mammal flesh (unlike the great white’s serrated triangular teeth which are perfect for cutting through mammal flesh). Sand tigers are primarily fish eaters and attacks on humans are often made either when the shark is approached to closely or if a diver happens to be spear fishing and the shark is attempting to catch the speared fish. Sand tigers are very ferocious when it comes to eating fish. So ferocious, in fact, that they are known to feed on their siblings even before they are born. Sand tigers give birth to live young. The mother sand tiger has two uterine sections within her body in which up to 50 young sand tigers will develop. 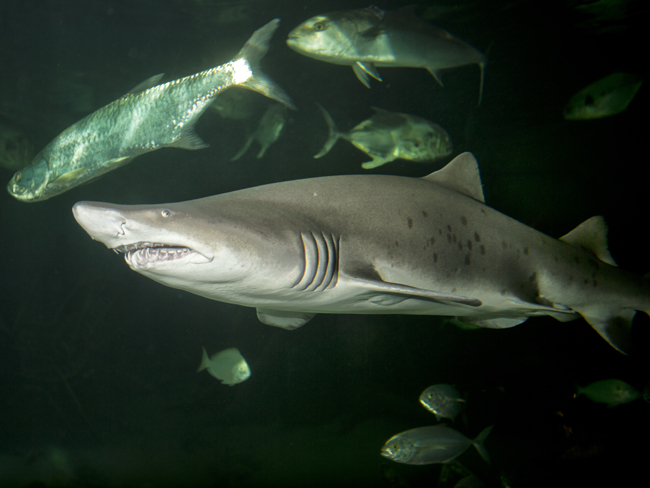 As they grow, the larger, stronger sand tiger pups will nourish themselves by feeding on the others. Eventually, only the two young will then be born, already born killers.